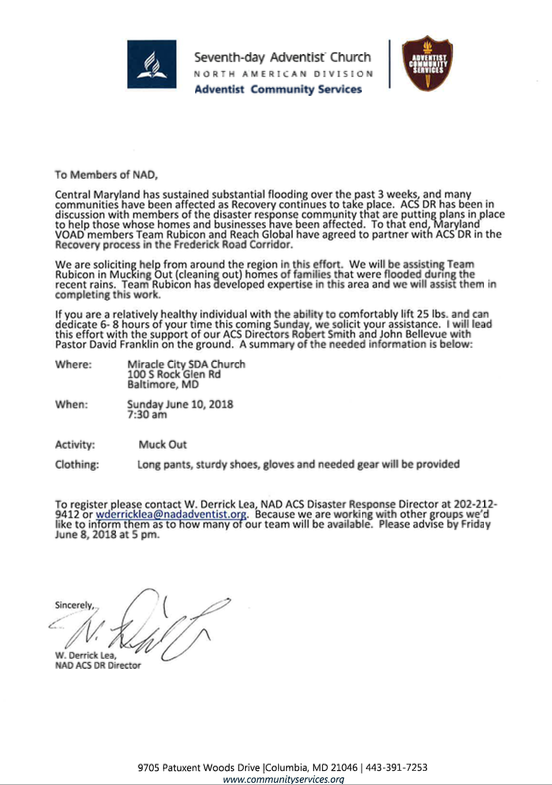 The Columbia Union Conference Adventist Community Services (ACS), NAD ACS and Allegheny East Conference's Miracle City church in Baltimore are partnering to help clean-up flood damage in Maryland. They need your help! See the note from the NAD ACS for more information.